I do like these elements for a stir fry-sounds delicious. I have yet to see the soy puffs, but will keep an eye out for them! I see a vegetarian recipe this time over here. We called these taufu as taufu pok, popularly added into curry laksa. 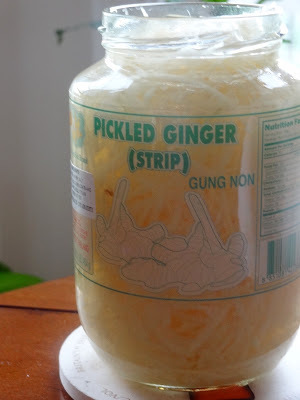 Great recipe and wow to the pickled taste blended in. Oh I love tofu, Ridwan...but I haven't seen these soy puffs in the Asian stores here. I'd definitely be keeping an eye on them! Your stir fry looks so good! It's hard to find here in local Asian market too,I found this soy puffs at Asian market in DC arae,last weekend. I've never seen anything like those soy puffs...we have a lot of Asian grocery stores in Anchorage, though, so I'll keep my eye out for them!